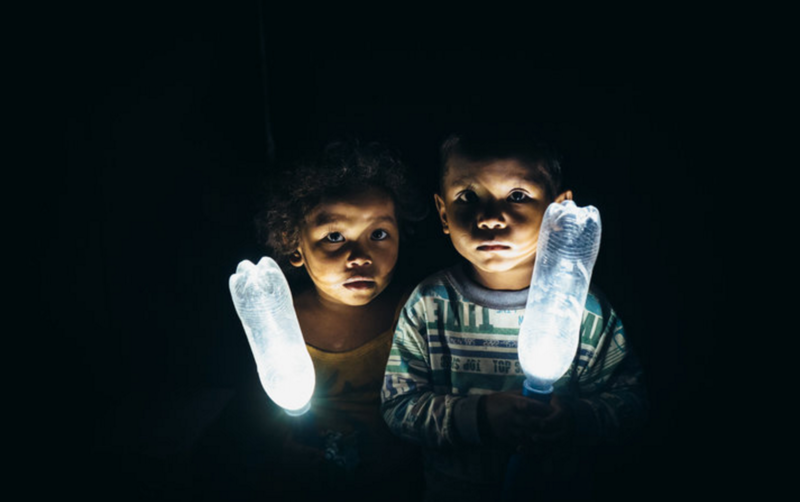 Philippines-based nonprofit MyShelter Foundation launched a project called Liter of Light they believe can revolutionize people's dependence on electricity while also providing people with jobs and a means of recycling the island's enormous number of plastic bottles. Created to provide sustainable, affordable, solar light to those living in communities that currently have limited or no access to electricity, the grassroots movement aims to teach marginalized communities how to reuse plastic bottles and other locally sourced materials to light up their homes, streets, and neighborhoods. MyShelter founder Illac Diaz told The Huffington Post that in many poorer areas, shacks are built right on top of one another, which can make it extremely difficult to see without flipping a light switch. Alfredo Moser, a Brazilian mechanic, worked with MyShelter to develop the bottles used for Liter of Light. By mixing 3 milliliters of bleach with a liter of water, then feeding it through a special hole outfitted in the roof, they're able to light the whole room. The special mix refracts light as brightly as a bulb. The only downside is that they obviously can only function when the sun is out. MyShelter added an LED that can be powered by a smaller solar panel, which turns on when the sun goes down. Recipient of the 2015 Zayed Future Energy Prize and a winner of the 2014-2015 World Habitat Award, Liter of Light has been in operation since 2012. 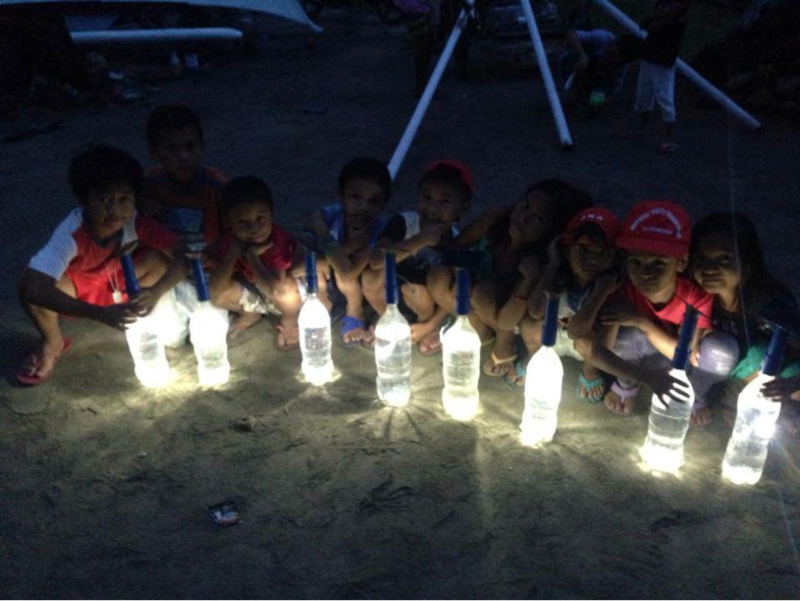 Within that time they've provided 350,000 households in the Philippines, Egypt, Colombia, and other countries with bottle lights. The bleach and water mix last for about five years before the liquid needs to be replaced. While the non-profit hoped to reached 1 million homes by 2015, they've adjusted that number to 2020. The lamps have proved popular, not only because they're easy to make, but because they allow people to discontinue using kerosene lamps, which carry a risk of fire and emit dangerous fumes. The foundation also teaches people how to make and use the solar panel circuit, and many women in the Philippines produce and sell the lamps as a means of extra income. Diaz says this is the outcome the foundation wants. He added, "You have to understand the genius of the poor: People have spun off our ideas into their own backyard solar business. That’s what we want. A nation of backyard solar entrepreneurs, instead of them relying on our foundation."